No wildlife event on the planet rivals that of Kenya, an exotic haven which holds abundant wildlife with splendid sceneries. Each year, an enormous herds of wildebeest and zebra, two million strong, make a great circuit across the Serengeti Plains as they travel into Kenya‘s famed Maasai Mara and back, following the new grass that sprouts with the seasonal rains. One of the highlights of this spectacular event is the crossing of the Mara River, often referred to as the “World Cup of Wildlife”. During the entire journey, a host of predators follows in stealthy pursuit. Truly, a once in a lifetime experience. Meals for today are on clients’ account. After breakfast, we depart for Amboseli National Park. Enjoy welcome drinks upon your arrival, check-in to your respective rooms, and take lunch. In the afternoon, you’ll meet up with your guide and drive to Amboseli National Park for your first game drive. This park is famous for offering an opportunity to have an up-close encounter with free-ranging elephants. On a clear day, you’ll also have spectacular views of Mount Kilimanjaro, the highest free-standing mountain in the world. After breakfast, we go for another game drive in Amboseli National Park. For half a day, you’ll have a good opportunity to see some of the ‘Big Five’ and a variety of other game with the snow-capped Mt. Kilimanjaro at the background. We return to the lodge for lunch and spend the rest of the day relaxing and enjoying the wonderful atmosphere on the wild. You can also take at dip at the swimming pool. Amboseli National Park, formerly Maasai Amboseli Game Reserve, is in Kajiado County, Kenya. The local people are mainly Maasai, but people from other parts of the country have settled there attracted by the successful tourist-driven economy and intensive agriculture along the system of swamps that makes this low-rainfall area (average 350 mm (14 in) one of the best wildlife-viewing experiences in the world with 400 species of birds including water birds, pelicans, kingfishers, crakes, hammerkops and 47 types of raptor. Early breakfast at the lodge and afterwards depart with lunch boxes and drive to Aberdares. We arrive and check-in at Aberdares Country Club, which is a base hotel for the Ark. The Ark is a unique concept whereby animals come to drink water at the water hole below the Ark Tree lodge and guests watch the animals from the comfort of their verandah. Notice: Children under 7 years are not allowed at the Ark without prior arrangements. Small luggage allowed at the Ark and the rest should be left at the base hotel and retrieved the following day. We continue our journey and arrive at Samburu Sopa Lodge where you will take lunch and check-in. In the afternoon, we go for a game drive in the reserve. This region is commonly known for its unique wildlife/birdlife i.e. the Beisa Oryx, Reticulated Giraffe, Somali Ostrich, The Gerenuk and The Gevy’s Zebra. The Samburu National Reserve is a game reserve on the banks of the Ewaso Ng’iro river in Kenya. On the other side of the river is the Buffalo Springs National Reserve. The park is 165 km² in size and is situated 350 kilometers from Nairobi. It ranges in altitude from 800 to 1230m above sea level. Geographically, it is located in Samburu County. Enjoy your buffet breakfast at the club. After breakfast, you will be driven to Lake Nakuru and arrive for lunch at Lake Nakuru Lodge. In the afternoon, another exciting game drive awaits. Lake Nakuru is famous for the big populations of Flamingos during dry season. The Park also has Kenya’s largest population of rhinos. Lake Nakuru is one of the Rift Valley soda lakes at an elevation of 1754 m above sea level. It lies to the south of Nakuru, in the rift valley of Kenya and is protected by Lake Nakuru National Park. Breakfast at leisure. After breakfast you will meet up with your guide and head off to Lake Naivasha. You arrive in time for lunch, but not first without a refreshing welcome drink! Lake Naivasha is another tranquil place to relax while still enjoying the exotic surroundings. Being a fresh water lake, it does attract a wide range of birdlife including lily-trotters, pelicans, Goliath herons and of course the African Fish Eagle. Wildlife which can be found around the lake includes giraffes, impala, buffalo and hippo’s. After breakfast, you will meet up with your guide and head off Masai Mara. After enjoying your afternoon Kenyan tea and coffee, we finally head in the afternoon for an exciting game viewing adventure. Maasai Mara is one of the most popular parks in Kenya and you are just about to discover why. 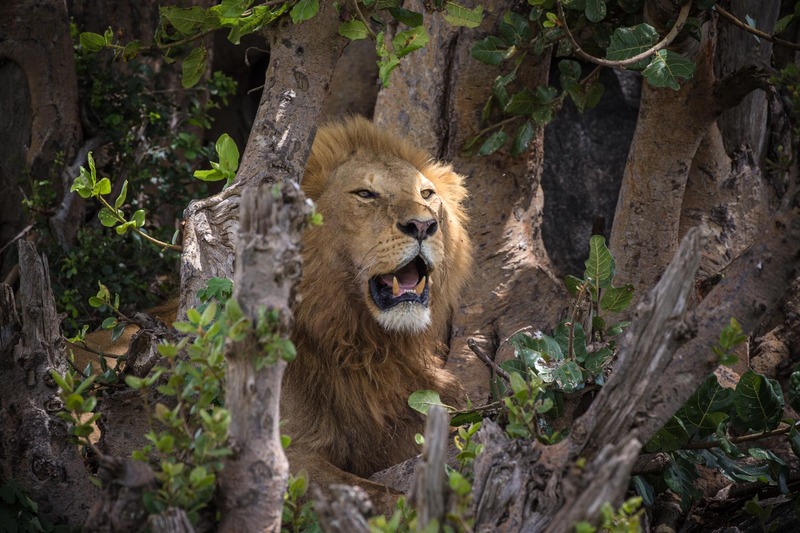 Masai Mara is bestowed with over 500 square miles of savannas, woodlands and tree-fringed rivers, all of which shelter an astonishing range of wildlife. After game drive, we head back to your lodge for dinner and overnight. The following day, we spend another day at the Mara in Masai Mara with morning and afternoon game drive. Breakfast at the lodge. After breakfast, check out and drive back to Nairobi. Afternoon arrival at Jomo Kenyatta Airport for your departure flight.